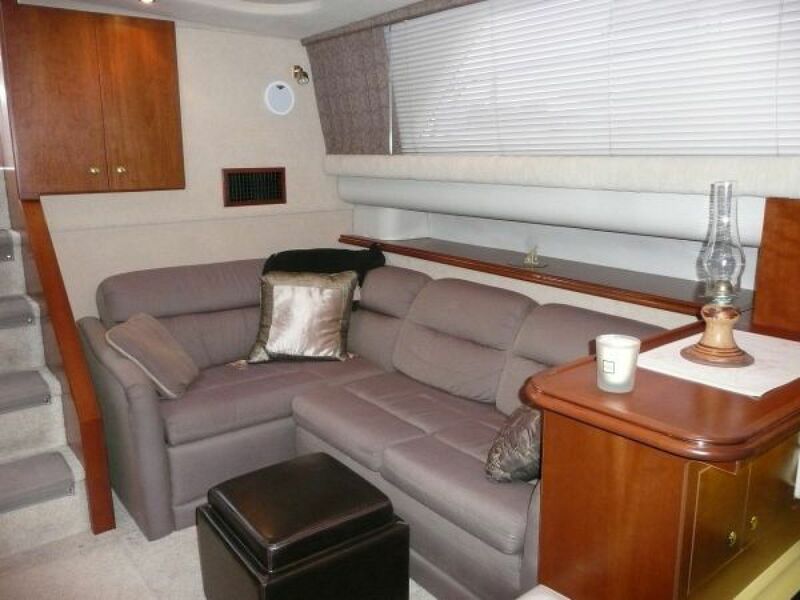 An exceptionally roomy double cabin motoryacht, this 37' has the room of a 40'. 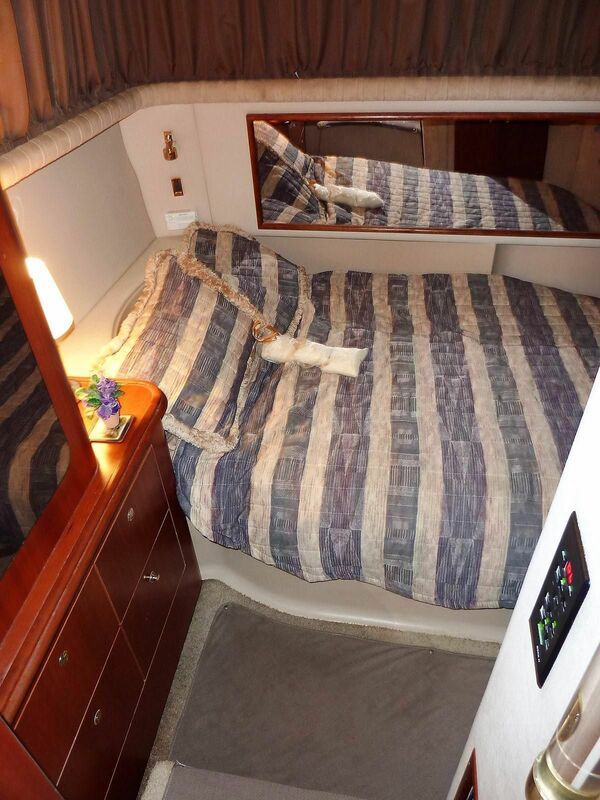 There are two staterooms with queen berths in each and two heads, one with a tub. 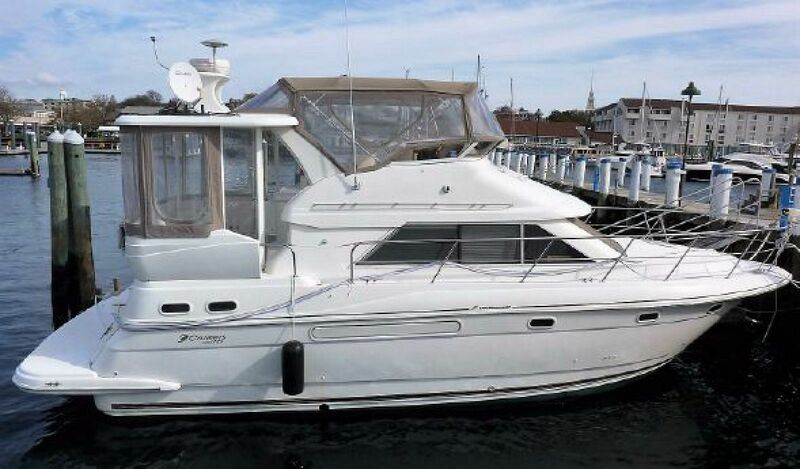 Equipped with a pair of 380 hp Mercruiser engines, she has an easy 18 knot cruise. 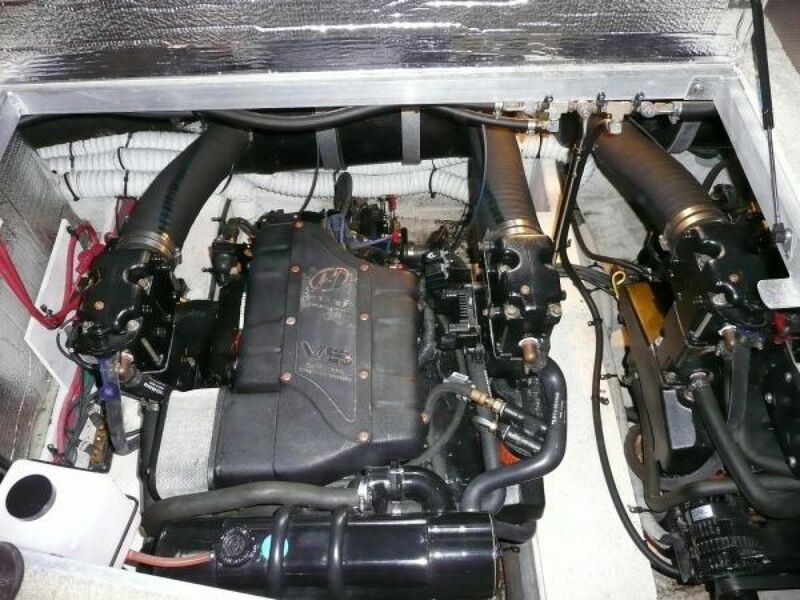 This 3750 has been lightly cruised and has only 125 hours on her engines since rebuild. Loaded with all the comfort, safety and navigational options you would expect from a coastal cruiser. In exceptional condition and easily seen in the water. 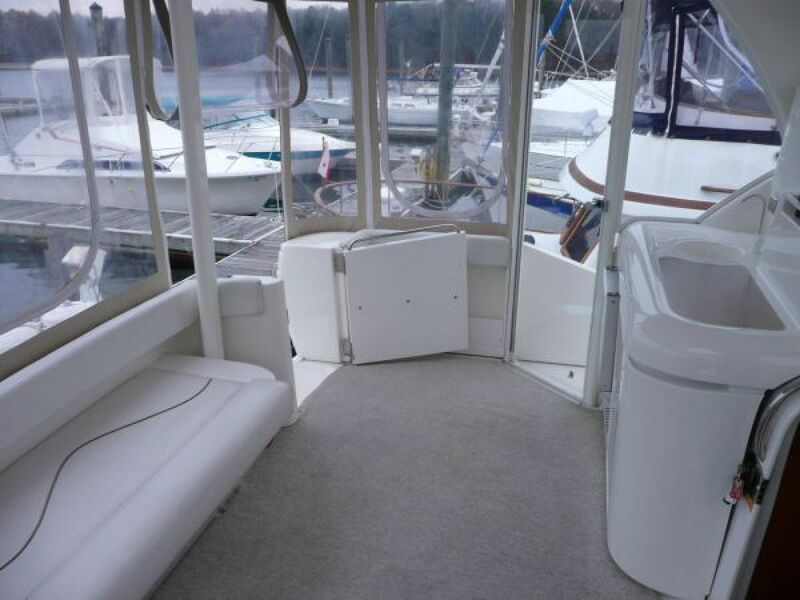 Twin Mercruiser Horizon inboards. 380 Hp each. Freshwater cooled. 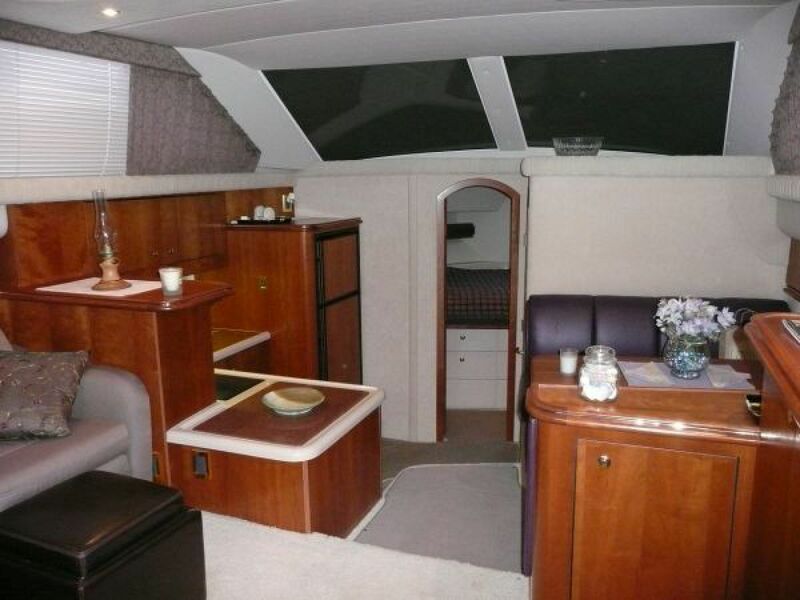 Sleeps 4 in 2 staterooms. 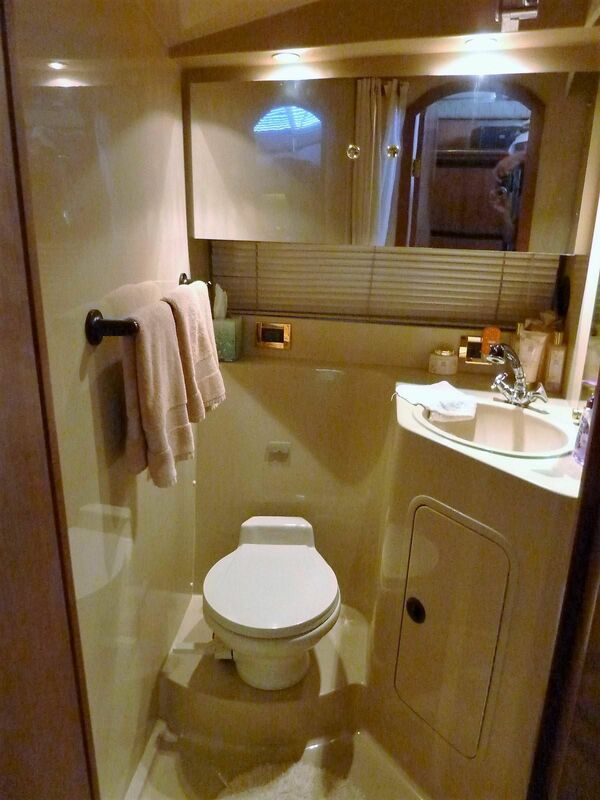 The master is aft with queen size berth and ensuite head and tub. Forward is the guest stateroom with another queen berth and ensuite head. 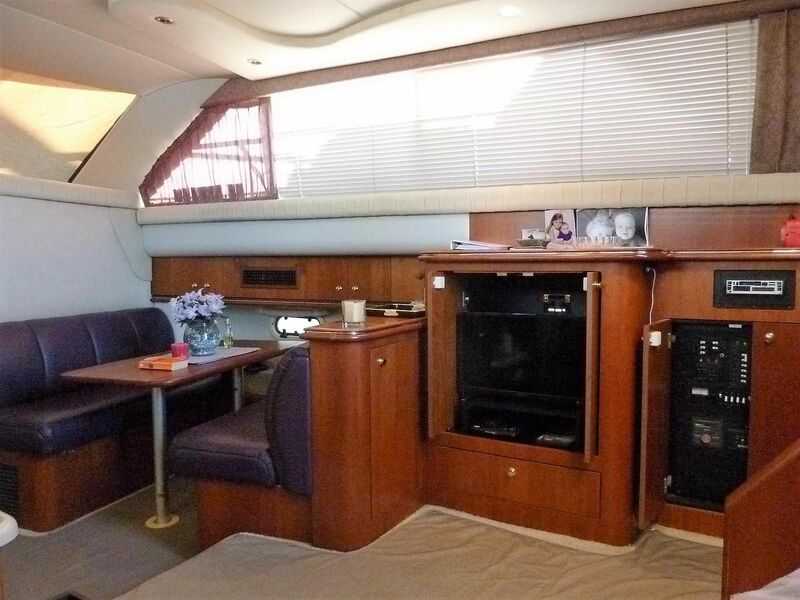 Main cabin has a convertible dinette, L-shaped lounge with TV across L-shaped galley down. Cherry interior. 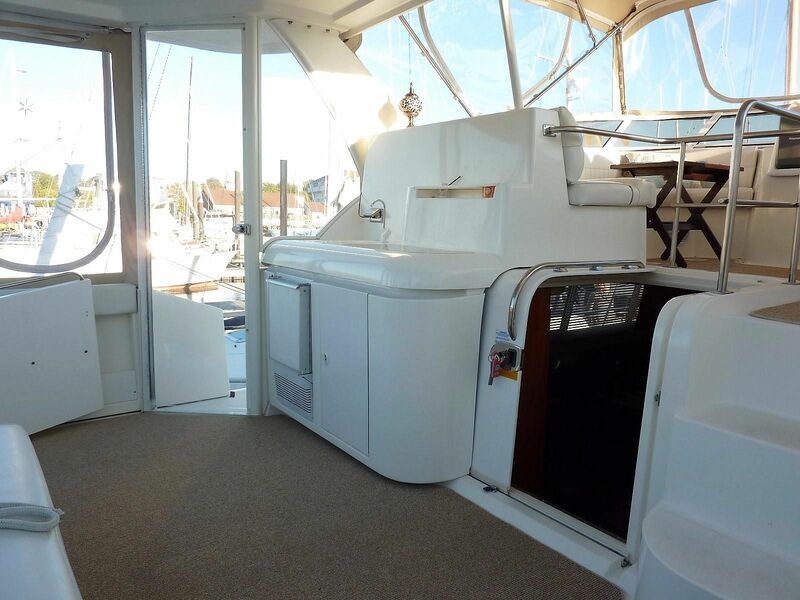 Full flybridge and aft deck enclosures replaced with in the past two seasons. 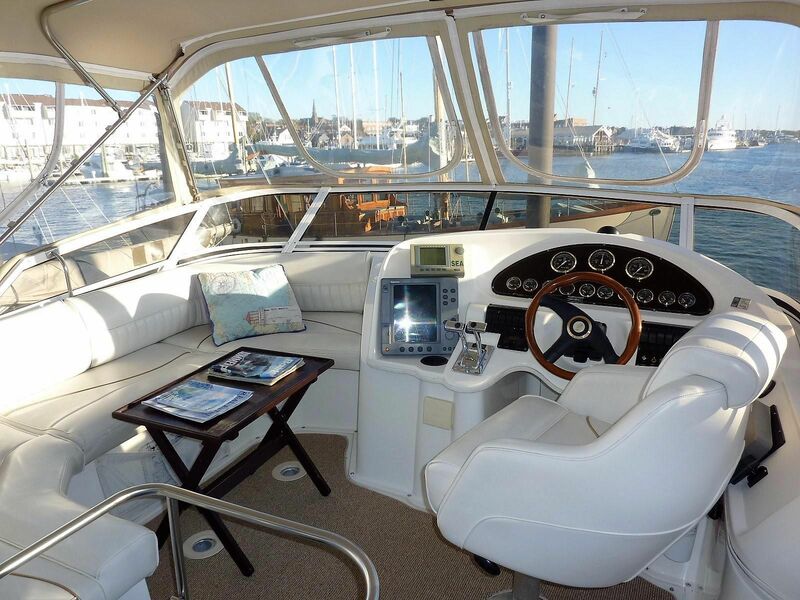 SODA POP has been primarily used as a summer retreat, with some bay cruising and an occasional weekend cruise. It has seen very light use and it shows. 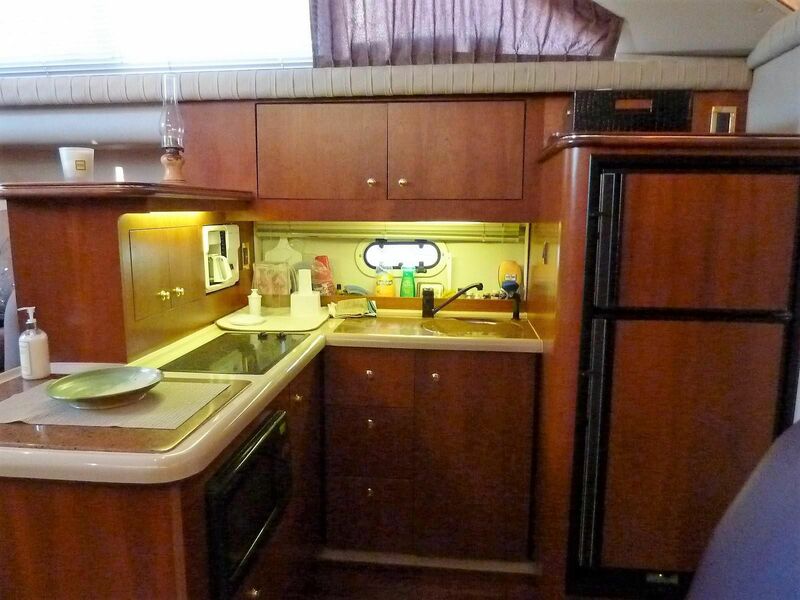 A very roomy double cabin with lots of headroom for its length.